I appreciated how knowledgeable they were. They helped me pick something that was close to my budget. They weren't trying to push product to me. They picked the right product for me. The service people were extremely knowledgeable, friendly and helpful. The sales people in the store, they were really on top of my demands. What I needed had to be very precise with all measurements and they did a great job. They were willing to give advice and consultation. That was before I made my decision to buy. 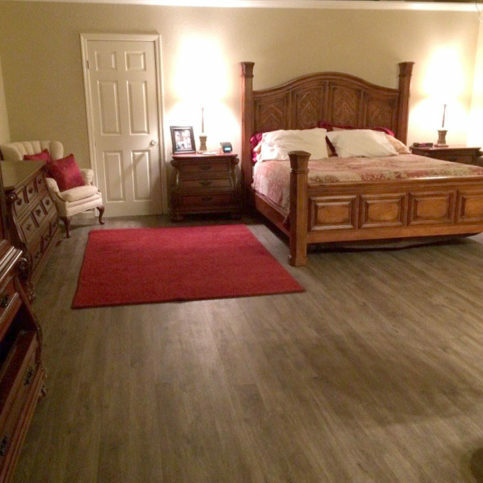 Abbey Carpets by Fashion Floors offers a wide variety of carpet; ceramic tile; and hardwood, vinyl, and laminate flooring products at its Antioch facility. 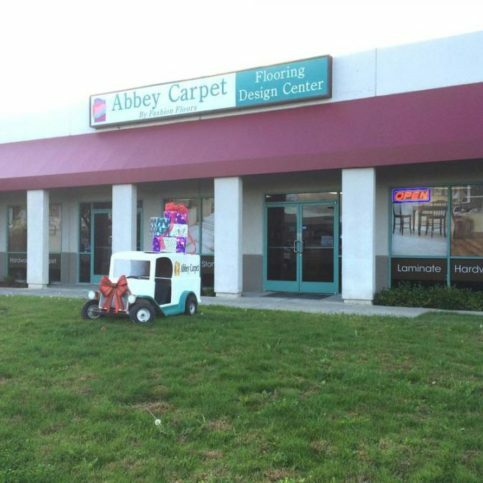 As an affiliate of Abbey Carpet & Floor, the company has access to products made by industry leaders like Shaw, Mohawk and American Showcase, and it also has the training and equipment to install flooring for residential and commercial clients throughout Contra Costa County. Areas Served: Serving Contra Costa County including Richmond, Antioch, Concord, Pittsburg, Walnut Creek, Lafayette, El Cerrito, Hercules, Moraga and Clayton. 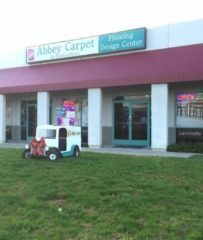 Abbey Carpets by Fashion Floors has been offering carpet; ceramic tile; and hardwood, vinyl, and laminate flooring products at its Antioch facility since 1981. The company’s affiliation with Abbey Carpet & Floor gives it access to products made by industry leaders like Shaw, American Showcase and Mohawk, and it also has the capabilities to install flooring for residential and commercial clients throughout Contra Costa County. When purchasing a new flooring product, make sure you do your homework before visiting a showroom. The first thing to consider when purchasing new flooring is the area in which it will be installed. Determine how much traffic the area gets, if it’s in direct sunlight, if you need a special type of flooring (non-slip for areas near doors, easy-to-clean flooring for kitchens, flooring that holds up well in wet or damp conditions for bathrooms) and whether you have any preferences for colors or materials. If you’re unsure how much wear and tear your flooring will experience, it’s better to overestimate than underestimate. Entryways, hallways, kitchens and common areas are good places to splurge on flooring that’s engineered to withstand a lot of traffic. Keep in mind that factory finishes may cost more, but they tend to last longer and come with better warranties than unfinished products, so they’re often better choices for high-traffic areas. After you determine this information, find a showroom that allows you to borrow or purchase samples. Put the samples where you plan to install the new flooring and spend a few days viewing them at different times and in different lighting. Once you’ve narrowed your choices, measure your room’s square footage and plan to purchase 10 percent more flooring than you need to allow for damaged goods, installation mistakes, and waste. Some people also like to purchase extra flooring for future repairs. Don’t be in a rush to install your new flooring. If possible, give laminates and wood one to three days to acclimate to your home’s temperature and humidity level before you install—it’ll result in less settling and a better overall installation. To ensure your new floor properly adjusts to your home, make sure you treat it gently. If you need to raise the temperature in a newly re-floored room shortly after the installation, do so slowly over a few days to give the carpet, tile or laminate a chance to adjust. Install felt pads under furniture feet and put down area rugs or runners in high-traffic areas. Research the manufacturer’s recommendations for cleaning and follow its directives to properly maintain your flooring. 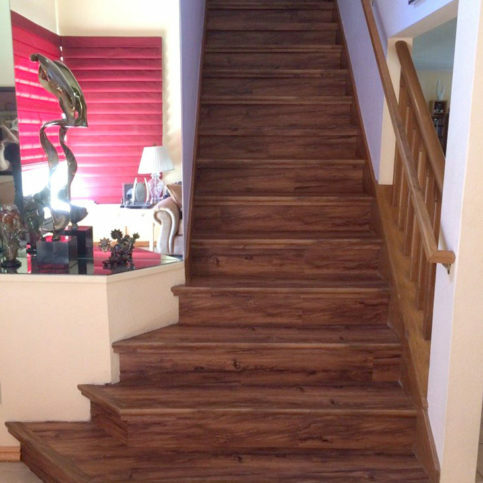 Q: Once I order my flooring, how soon can it be installed? A: Once you find a product you like, we’ll schedule a measurement visit as soon as possible. After that, we can usually complete the installation within a week. Q: Who will install my new flooring? A: We have our own installers who’ve been with us for more than 15 years. We trust them to do a quality job. A: Yes. We list the price of every product in our showroom so our customers can see the value. Some flooring companies advertise certain prices and don’t stick to them, but with us, the price you see is the final price you pay. In fact, our carpet prices include the carpet, pad, installation, and pull-up and haul-off of the old carpet and pad. Q: Will you give me a tour of your showroom? A: Of course. We’ll take the time to learn what you’re looking for, show you various options and talk about the process so you know what to expect. A: We provide several types of warranties. First, every product comes with a manufacturer’s warranty and an installation warranty. California law says all flooring stores have to offer a one-year warranty, but we back our products with lifetime warranties. We also offer Abbey Carpets’ ‘60-Day No-Quibble Warranty,’ which means if you’re not happy with your carpet within 60 days of the installation, we’ll replace it at no cost. Steven Siegfried is a veteran of the flooring industry and owner of Abbey Carpets by Fashion Floors, a Diamond Certified company. He can be reached at (925) 233-6334 or by email. ANTIOCH — Steven Siegfried didn’t always sell floors—in fact, he spent the first part of his career destroying them. “I worked for a termite control company and we’d often have to tear up floors to reach infestation sites,” he explains. “But whatever we tore up, we then had to repair or replace. 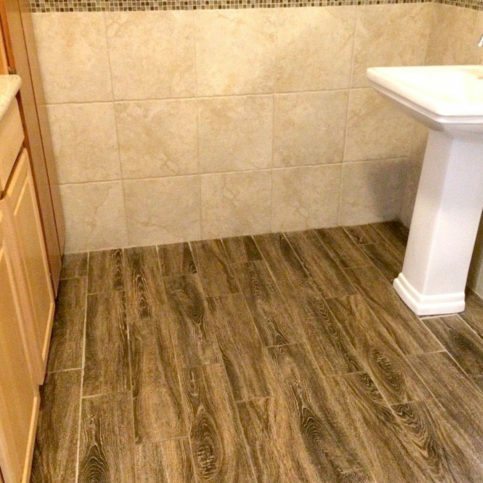 Over the years, I learned a lot about flooring products and came to know the industry pretty well.” In 1981, Steven got the opportunity to take over a flooring store, which he renamed Fashion Floors. A father of three grown children and grandfather to four, Steven plans to devote more time to his grandkids once he retires, though he doesn’t imagine that day will come anytime soon. “When you’ve put your heart into your business like I have, it’s hard to pull yourself away,” he says. A: It used to be the Oakland Raiders, but now it’s the San Francisco Giants. Q: Where would you most like to go on vacation? A: I’d love to tour the different canals of Europe. I’ve also always wanted to see the Aurora Borealis. A: Slot cars. Back in those days, there used to be tracks where kids could take their slot cars to race. A: I like smooth jazz, rock and roll oldies, and the Christian music I listened to when I was a kid. A pet-friendly carpet should resist stains, repel odors and come with a generous warranty, which indicates the manufacturer’s confidence in its product. Mohawk SmartStrand is a good example of this kind of carpet. It’s designed to resist moisture—the fibers of its threads are made from highly processed recycled plastic, which creates a resistant barrier. Because this carpet doesn’t absorb moisture, stains and odors don’t set in, and when accidents do occur, they’re much easier to clean. It also comes with a lifetime warranty. If you have pets, you don’t have to restrict their movements within the house or resign yourself to drab furnishings. Today, there are advanced carpet products that can remain both clean and stylish after accidents happen. Diamond Certified Expert Contributor, Steven Siegfried: In this segment today, we’re going to talk about pet-friendly carpet. Mohawk SmartStrand has one of the best warranties, and one of the best carpets out there for pet-friendly carpet. It covers the three Ps: the pee, the puke, and the poop. On those particular warranties, they have a lifetime on staining that urine, and puke, and poop is not going to take and stain your carpet, and at the same time not create any odors that come back up through the carpets. Very, very cleanable. One of the nice things about that particular yarn is that when we turn in our Coke bottles, they chip them, they make fiber, and then they remake yarn out of them, so they’re very, very stain resistant. So, if you’re looking for carpets today that’s going to be pet friendly, then we recommend Mohawk SmartStrand. And you can come into our store, and we have a very right selection of it for you. Abbey Carpets by Fashion Floors : Average 9.4 out of 10 based on 150 unique customer surveys of customer satisfaction. They were helpful, fast, and efficient. They got it done quickly. They came out and got it done quickly. It only took a few hours. I loved the carpet. I heard about them through friends, and we've told our friends about them. They were in and out. It took a whole day. They were very pleasant, the installers were great, and they are a local company. They were great. There were no problems. They do a good job, and they're great. They're honest, helpful, and not pushy. They are all of the things you would hope for in a local company. Very good work, and they're right on the spot. They're polite and clean up in record time. They are always willing to work with you, even if you make a mistake. They are friendly and have a helpful service. Super helpful, very knowledgeable, and their prices are great. They're efficient and wonderful. Steve is amazing. Working with Steve, he was all of the above. They are very professional, have been around for years, and they are all very knowledgeable. They go out of their way to help. They're a knowledgeable, friendly, and family store. Their employees have been there for years, and they are very knowledgeable. They were fast, quick, and priced well. I liked that they were local and that they came out and measured. They are good. They're local, friendly, and give customer care. I think what I liked best was that they were very helpful and good at what they did. The customer service was good. I was greeted and helped thoroughly throughout my order. The personal service, the installers were personable, professional, and knew what they were doing. Good quality company, had good selection for our needs.